Human rights activists have decided to stop regular rallies in support of Article 31 of the constitution to focus on other issues during the year of parliamentary elections. ­A motley crowd of representatives of different opposition groups gather on Triumfalnaya Square on the last day of months that have 31 days. They rally in support of Article 31 of the Russian Constitution that guarantees freedom of assembly. Most such gatherings were banned by the authorities and routinely dispersed by police. 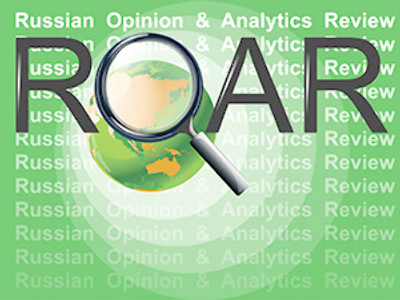 However, with the arrival of Sergey Sobyanin as the new mayor late last year, the Moscow government began to permit the rallies. Problems between the organizers emerged, resulting in their split. 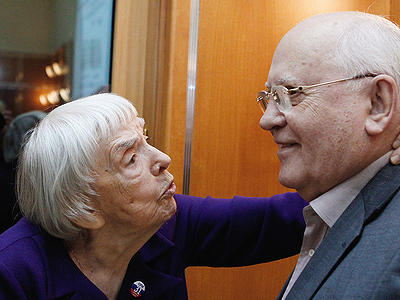 Head of the Moscow Helsinki Group Lyudmila Alekseeva usually agreed with the authorities’ conditions on the number of participants at the rallies. Another main organizer, head of the Other Russia opposition movement Eduard Limonov, always insisted that more people should be allowed to take part in the authorized gathering. 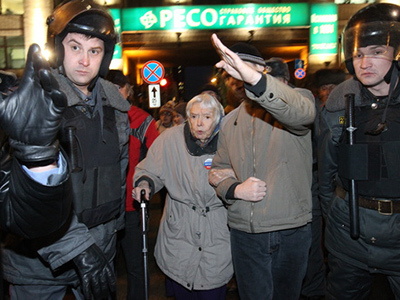 Alekseeva said on Monday that she and her supporters are likely to give up rallies on the 31st day and start actions every month instead, over different issues. Limonov is expected to continue with his Strategy 31. The Mayor’s Office has authorized the March 31 event that could attract around 3,000 participants. As the authorities failed to respond in time, Alekseeva believes activists have the right for a rally and a march from Triumfalnaya Square to Pushkinskaya Square – another event mentioned in the request. 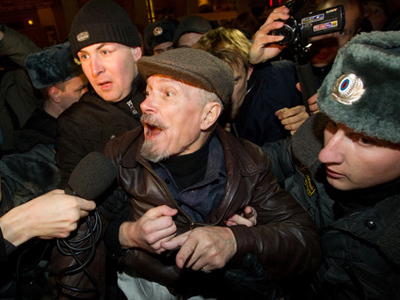 Because of disagreements, the organizers of rallies on Triumfalnaya Square have already held several separate events, with Limonov’s actions being unauthorized. On March 31, this event may become history in its usual form.